Last week I spent a good portion of the week battling a bad cold and some flu like symptoms. The 2 weeks before that I was nursing a back flate up. I am so thankful to be feeling better this week! We have a few teaser days of fall-like weather. Fall is my favorite time of year, and it will officially be here in a few weeks. While we still definitely have more summer weather here in TX, we are taking advantage of it and participating in some more summer activities before it gets cooler. One thing I love about fall is the harvest. I love going to a farm and picking apples, getting pumpkins and squashes and other yummy veggies. Growing up in PA we had lots of farms all around us. Now where I live there are a few pumpkin farms close to me, but for the most part I visit my local Farmer’s Market to get some fresh local produce. It is a perfect match for our theme this week. I am linking up with Farrah from Fairyburger, Annmarie from the Fit Foodie Mama, and Jess from Hello to Fit for our Organic Harvest themed week! This new recipe was inspired by my bestie. She posted a delish looking meal the other day and I made some modifications with what I had available! Warm ghee in a large frying pan and add minced garlic. Add zoodles and sauté till soft. Blend pesto and avocado together till smooth. Join us next week for some savory themed recipes! 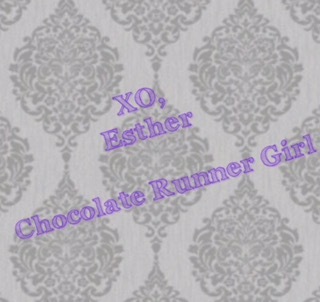 I have also linked up with Angela for Sunday Fitness & Food link-up! This entry was posted in Uncategorized on September 1, 2016 by chocolaterunnergirl. Oh my goodness I love zoodles! I love eating them raw with avocado sauces! I love zoodles! So fun and versatile! 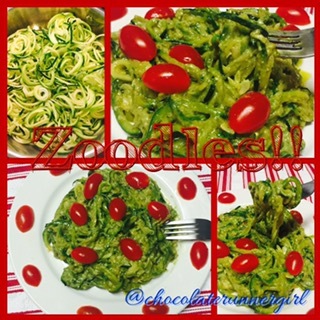 I adore zoodles and this recipe looks amazing!!! 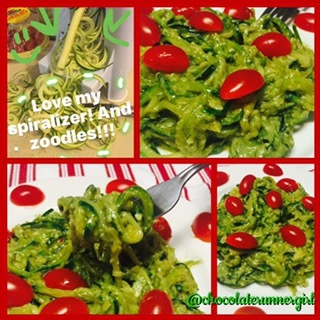 I’ve never made zoodles – I need a spiralizer! Your recipe looks delish! A spiralizer is a great investment. I got mine off Amazon for around $30. Oh I love zucchini too! And this recipe looks delish!!! Yum! Thank you! Zucchini is the best! I love avocado pesto. Yum! Zoodles are a staple on my weekly prep list. Me too! I love how easy they are to use for so many different recipes! I made something similar to this before! Super yummy! I loooove avocado so I think I’d love this! I’ve never tried making it into pesto! Yay! So many things I love in the same recipe–it looks delicious! ❤ I need to make more zoodles!